Most people assume that the pope’s cathedral is St. Peter’s Basilica, located within the walls of Vatican City. It is easy to see why so many believe this: the church often serves as the place of majestic papal liturgies, conclaves and audiences. Even the pope lives nearby, either in the Apostolic Palace or, as in Pope Francis’ case, in St. Martha’s House. Surprisingly, however, St. Peter’s Basilica is not the Bishop of Rome’s cathedral. That honour is bestowed upon a basilica church a few kilometres away, known as the Basilica of St. John Lateran. Although popularly known as St. John Lateran, the basilica is properly called the Archbasilica of Christ Our Saviour and Saints John the Baptist and John the Evangelist at the Lateran. Originally located on the site of a Roman fort, which later became a Roman palace, the grounds and structures were given to the pope following the reign of Constantine. Shortly thereafter, Pope Sylvester I made his residence at the palace and consecrated the basilica church as the Cathedral Church of Rome. After a series of fires in the 14th century, the papal household moved to various basilicas around Rome until the Vatican palaces were built. There they remained, firmly planted on Vatican Hill, which inspired the massive building project of the modern-day St. Peter’s Basilica in the 16th century. 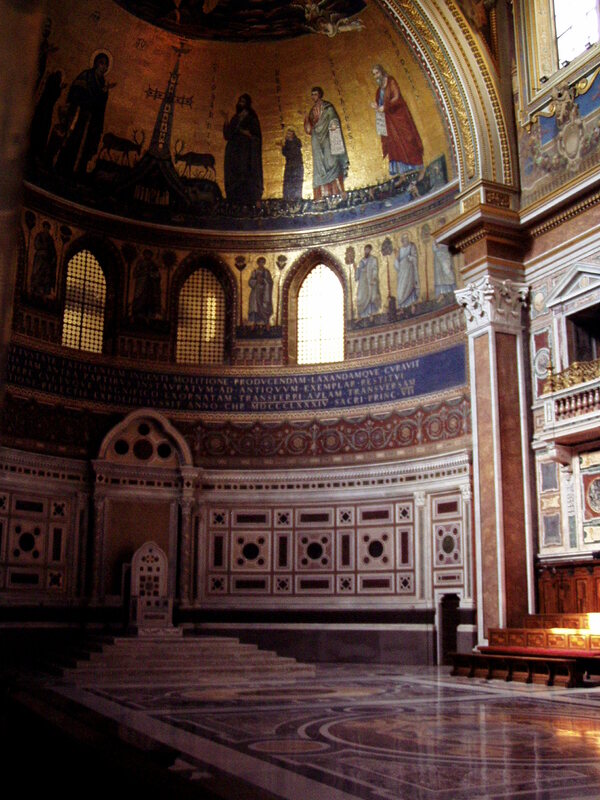 Consecrated in 324 A.D., the Cathedral-Basilica of St. John Lateran was rebuilt in the 17th and 18th centuries. Despite the popularity of St. Peter’s Basilica, for its sheer size and architectural wonders, the Basilica of St. John Lateran maintains the great honour of being the Bishop of Rome’s cathedral and the mother church of all Catholics. Furthermore, the feast day also reminds us of the significance of our churches in the life of faith. While some may argue against such majestic buildings, we believe that our churches also serve as a testament of faith, a witness to the glory of God and a refuge for all who are weary and seeking to be still in God. They are places that are holy, set aside from the ordinary, everyday structure of life. It is not uncommon today to find, in larger cities, churches standing open with women and men of all backgrounds resting in silence. Whether seeking comfort in a time of loss, assistance in a time of need, or shelter from the cold, many find solace in our holy places. Yet our churches should not be the last place for peace and healing for those in need. Rather, for all of us who make up the Body of Christ, the Church, the challenge is to open the doors of our hearts to welcome and comfort those who long to rest and be nourished by God.